Join an audience that loves talking back to history to discuss South Carolina’s native son, Francis Marion – The Swamp Fox – with Dr. Christine Swager, retired USC Columbia professor, storyteller and author of five award winning books on the Revolutionary War Southern Campaign. Time to separate the Movie myth from the man. In the 1800’s Parson Weems made Marion out as fanciful as George Washington and his cherry tree. Disney had him singing the Swamp Fox movie theme song, and then “The Patriot” exaggerated the legend for a whole other generation. Francis Marion was a man of his times. He owned slaves, fought a brutal campaign against the Cherokee Indians. But he also was the unquestioned leader of, as Dr. Walter Edger pointed out, “a ragged band of both black and white volunteers” who just kept fighting until the Revolution was won. Talk will be led by Dr. Christine Swager. Dr. Swager was born in Canada and studied the American Revolution from a British textbook. 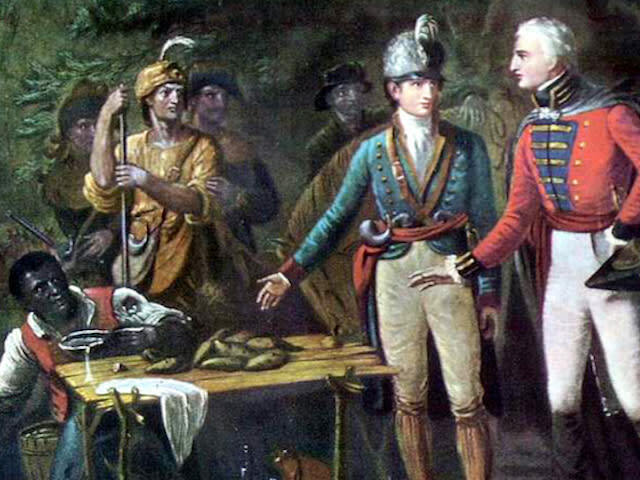 The British explanation was the war was lost when Lord Cornwallis failed to take and keep the South. She is a recipient of a Lifetime Achievement Award in Youth Education presented by the Southern Campaigns of the American Revolution, and the Martha Washington Medal presented by the National Society of the Sons of the American Revolution. Her award winning books on the Southern Campaign include: Black Crows and White Cockades, If Ever Your Country Needs You, Come to the Cow Pens!, The Valiant Died (The Battle of Eutaw Springs,) Heroes of Kettle Creek and Musgrove Mill.